Taj Mahal or Grand Canyon? The Taj Mahal could be the more amazing landmark site, based on the lack of reaction from me when I saw the Grand Canyon. In October 2012, on my way to a leadership summit for my skin care company in Orange County, CA, I flew over the Grand Canyon. It was amazing for a few seconds, but then the thrill was gone once the plane was done flying over it. 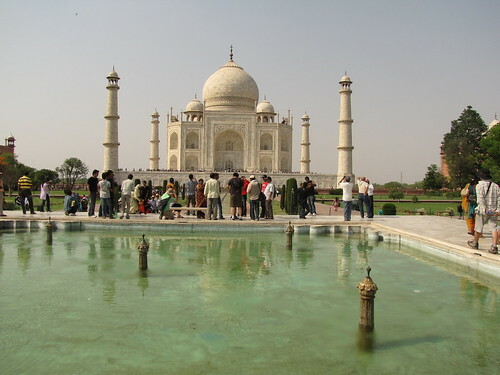 So I’m hoping that if ever I visit the Taj Mahal, just seeing it in person from the outside would take my breath away.